Hasan Umut received his BSc in Industrial Engineering at Boğaziçi University in Istanbul. He completed his master’s degree in History at Istanbul Bilgi University with a thesis titled “Ismail Gelenbevi at the Engineering School: The Ottoman Experience of European Science through Logarithms.” He is currently a PhD Candidate at the Institute of Islamic Studies of McGill University, Montreal, with a dissertation project titled “Theoretical Astronomy in the Early Modern Ottoman Empire: ʿAlī al-Qūshjī’s Risālat al-Fatḥiyya.” His research was supported by, among others, McGill-Canada Science and Technology Museum Fellowship in the History of Science, Medicine, and Technology, and Wilfred Cantwell Smith Fellowship in Islamic Studies. 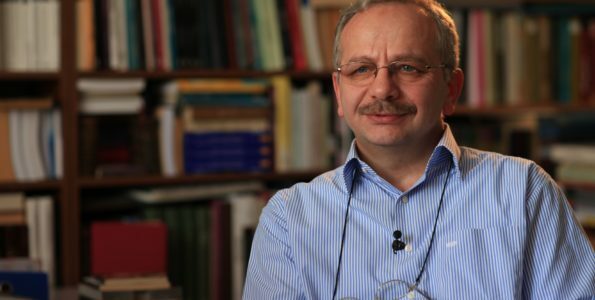 Together with David Pantalony and Assia Kaab, Hasan Umut was granted the Award of Outstanding Achievement in Research in 2018 by the Canadian Museums Association for their collaborative research on the George Petrovic Collection of Mathematical Instruments in the Canada Science and Technology Museum. 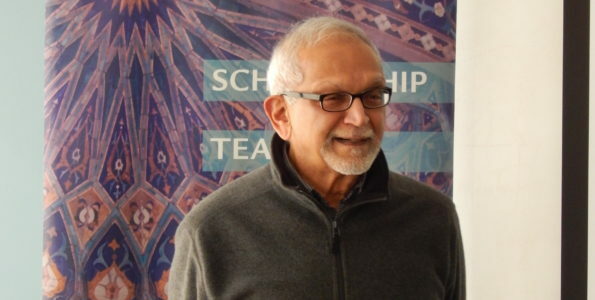 He is also Associate Editor for Nazariyat Journal for the History of Islamic Philosophy and Sciences. His fields of research include history of astronomy, history of science in Islamic societies, Ottoman science, Islamic and Ottoman intellectual history, and history of scientific instruments. It has long been assumed in the literature on Islamic societies in the modern period that there was a ‘clash of the systems of knowledge,’ as European science started to be circulated in those societies. According to this narrative, the representatives of the madrasa sciences, namely the ulama, were categorically against new scientific and technological enterprises, and therefore, were guilty of ‘decline’ in science. Though this narrative is no longer as attractive as it was before, we do not have many studies that propose new understandings of the complex stories regarding the changing structures of knowledge, and its social, political, and intellectual repercussions. 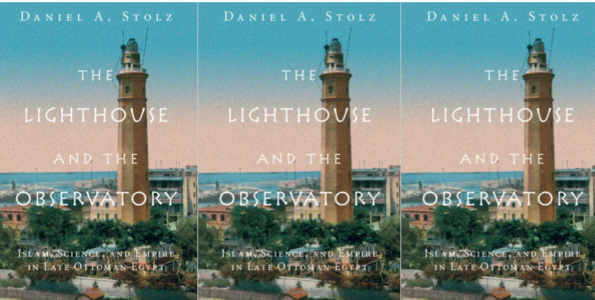 In this respect, Daniel A. Stolz’s The Lighthouse and the Observatory: Islam, Science, and Empire in Late Ottoman Egypt, based on the author’s PhD dissertation completed at Princeton in 2013, is a timely, richly researched, informative, and significant intervention into the complex histories of scientific knowledge mainly in the nineteenth century Ottoman Egypt. It carefully examines, and suggests new insights into, many significant issues including the social status of premodern and modern scientific knowledge, the interplay between the political, intellectual and scientific transformations from the late eighteenth century onwards, and the ulama’s role in maintaining the scholarly traditions that had formed over centuries primarily in the madrasa context. Furthermore, it addresses the reception of new European science and (self)-orientalism in the production of knowledge. The striking question Stolz asks in the beginning of the book reveals the main concern of The Lighthouse and the Observatory: “How did new, apparently secular sites of state science come to play an authoritative role in the religious practices of Muslims, while an older knowledge culture – a science produced in Islamic scholarly discourses – was refashioned as an object of historical memory?” ( 3). As his question suggests, Stolz aims to challenge a binary reading of nineteenth century Egypt, an understanding that would assume two mutually exclusive spheres for the ‘old’ and ‘new’ types of astronomical practices. Rather, he proposes that astronomy in modern Ottoman Egypt had complex trajectories in terms of its relevance to the multifaceted transformations observed in the Muslim world. In addition to the fact that he occasionally addresses some technical issues in astronomy, to the extent that they are linked to debates and practices of astronomy among the Egyptian scholars, he also accounts for the importance of astronomy in the formation of a new state, as well as in the refashioning of projects for religious reform that had already been discussed in Egypt and elsewhere in the Muslim world. The book is divided into seven chapters categorized under three main parts. Part I entitled “Geographies of Knowledge” deals, in two chapters, with the astronomical practices of two distinct scientific spheres rooted in two epistemological communities that nonetheless, in some cases, remain in exchange with one another in nineteenth century Egypt. The first scientific sphere is what Stolz calls the members of “scholarly astronomy” that was performed over the centuries in the madrasa or related contexts. As a case study, Stolz scrutnizes Muhammad al-Khudari’s commentary, referred in the book as the Commentary on the Brilliancy of the Solution of the Seven Planets, which was written in 1823-24. This text was based upon widely circulated astronomical tables (zīj) in the Eastern Mediterrenean region, which had been written in the fifteenth century by Ibn Ghulam Allah. The second scientific sphere Stolz refers to with reference to the practice of astronomy in Egypt in the nineteenth century is what he calls the members of “viceregal astronomy.” This refers to those who received modern astronomical education and had strong connections to modern institutions of the period such as the Paris Observatory. Dealing with two leading astronomers of this kind, namely Mahmud Bey Hamdi and Ismaʿil Effendi Mustafa and their observational activities in both the Egyptian observatory and abroad, Stolz successfully demonstrates that the productions of the astronomers in latter community not only irreversibly proliferated the method and content of scientific knowledge in Egypt, but also served as the formation of a modern Egyptian political and cultural self-imagination. Comprised of two chapters, Part II entitled “Objects of Translation” discusses the ulama’s active engagement with maintenance and transformation of scholarly astronomical practices as they faced new scientific and technological practices. In exemplifying it, Stolz tackles how the ulama played a prominent role in the formation of a new type of genre, that is, manuals for mechanical timepieces, which was inspired by a scholarly astronomical tradition called ʿilm al-mīqāt (science of timekeeping). He also deals with the ulama’s role in the translation and use of astronomical texts including the astronomical tables prepared by Lalande (d. 1807), a prominent French astronomer. Entitled “ Islam, Science, and Authority,” Part III is comprised of three chapters and it takes a close look at discussions and new practices such as the preparation of the tables for prayer times by means of new astronomy and how to determine the beginning of the Muslim lunar month, Ramadan. These issues are handled in relation to their relevance for the interplay between science and religious issues in nineteenth and early twentieth century Egypt. In this context, Stolz addresses the state’s role in such discussions, as well as how the the perceptions of the Egyptian ulama, modern intellectuals, and scientists changed towards scholarly astronomy, which had existed for centuries, in favor of appropriating the new astronomical knowledge and practices. Stolz examines a wide range of historical sources including manuscripts, journals, and newspapers of the period including al-Manar of Rashid Rida (d. 1935), a prominent figure in discussions on Islamic reform in Egypt, documents from archives including the Egyptian National Archives and the Paris Observatory. Additionally, he proposes fresh insights into many issues related to intellectual studies in the modern Muslim world. To give an example, with reference to Muhammad al-Khudari’s commentary on the aforementioned astronomical tables, Stolz deals with the question of why the heliocentric model might not have been considered in such scholarly texts, though it was in circulation in the Muslim world for a long period of time. Stolz’s study should be praised for the fact that he does not take on these issues with reference to such conceptualizations as ‘decline,’ ‘backwardness,’ or ‘stagnation’, an approach that has been heavily used in a number of key works in the field. Instead, he emphasizes that members of the ulama had varying approaches to the issue at hand. While some of them wrote texts in the geocentric systems, some others swiftly appropriated new scientific ideas into their scholarship. To put it differently, the ulama, as an epistemological community, were active in the translation and circulation of the French astronomer Lalande’s astronomical tables, which were, by no surprise, heliocentric-oriented. But at the same time, they could present an “active indifference” towards the heliocentricity, when studying geocentric-oriented astronomical tables. Stolz expresses that such an indifference did not necessarily derive from being unuaware or critical of the new system (66). Instead, their primary concern to study astronomical tables was precision and accuracy, rather than cosmology per se,in order to calculate planet’s position for various purposes including preparing calendars and manuals for prayer times. As Stolz indicates, the ulama’s active indifference towards the new sets of astronomical knowledge has largely to do with the genre-based pedagogical and textual practices that they adopted for centuries in their astronomical activities. Therefore, for instance, Lalande’s astronomical tables were translated in the Ottoman context according to “the genre-specific conventions, purposes, and computational practices of the zīj” (146). While acknowledging the significant points Stolz raises to contextualize the ulama’s interest in the geocentric system in the post-Copernican period, I am not convinced by his observations on the place of theoretical astronomy, widely known as ʿilm al-hayʾa, in this story. Relying on what he thinks Khudari implies, Stolz assumes that this field did not attract “much interest” among Khudari’s contemporaries, possibly because the heliocentric astronomy invalidated the functions of the hayʾatexts which accounted for the configuration of the celestial spheres on the basis of the geocentric system. More importantly, Stolz contends that the supposed lack of interest might be contextualized within the fact that “the intensive study of planetary models is a contingent and relatively rare occurrence in the history of astronomy” (70). However, the structure of the celestial bodies and planetary models were not the only topics included in the hayʾaliterature. Equally important, even the astronomical tables and timekeeping – Stolz primarily focuses on these as representative genres of scholarly astronomy – are categorized under the genre of hayʾaby two representative encyclopedists in the pre-modern Islamic period, the Mamluk scholar Ibn al-Akfānī (d. 749/1348), and the Ottoman scholar Tāshkubrizāda (d. 968/1561)). I assume that Stolz intends, by referring to hay’a in his book, its another sub-category called ʿilm al- hayʾa al-basīṭa. It is true that texts in this subcategory include issues related to the structure of the celestial bodies, but again their contents suggest much more. These texts were widely used as introductory astronomical textbooks, consisting of sets of basic information, including the cosmological premises underlying it, which would be needed for any study of the celestial bodies. They were important not only for their philosophical and theological relevance, but also for providing a technical background for someone who would go further in other fields of astronomy including the astronomical tables and timekeeping, even in astrology. One can come across hundreds of copies of the al- hayʾa al-basīṭatexts that were copied across the Muslim world in the post-Copernican period. Additionally, some works in this genre seem to suggest interesting details as to how the heliocentric system was deemed by members of the ulama. And finally, one should be reminded that the al- hayʾa al-basīṭa texts were not the only genre in which the planetary theories were handled. For instance, the innovative planetary models proposed by Ibn al-Shāṭir (d. ca. 777/1375), an outstanding Mamluk astronomer whose works many historians of astronomy consider one of the backgrounds for the Copernican system, are also found in his work on the astronomical tables. Therefore, considering the scholarly astronomy in its entirety can provide more insights into the understanding of the ulama’s engagement with astronomy. I would like to draw attention to Stolz’s extremely valuable historioghraphical interventions for the Middle Eastern, Ottoman, and history of science studies. Stolz’s book provides us with new ways to narrate the interplay between the ‘old’ and ‘new’ types of scientific knowledge and the transformation in their social, political, and cultural relevance over the nineteenth and early twentieth century. First, he reads the Egyptian experience of science within a wider Ottoman context in addition to a global context. 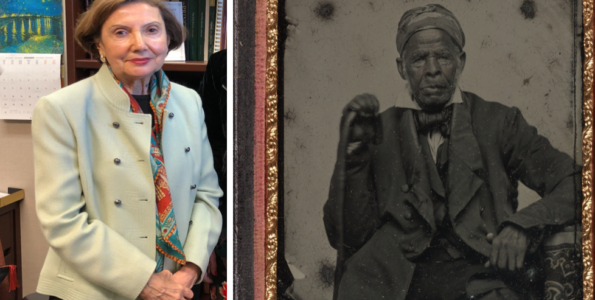 By doing that, he overcomes both the Turkish and Arab nationalistic readings of the Ottoman past that hardly acknowledge the multifaceted connectivities between parts of the Ottoman Empire. Of course when doing that, Stolz does not overlook Egypt’s distinctive characteristics within this imperial geography. Second, his narrative successfully avoids adopting a ‘whiggish’ reading of the scientific experience for the period in question. That is, Stolz’s concern is not to trace modern science or its rise in a non-European context as the telos of his investigation, an approach that has been a dominant framework in many studies dealing with similar issues in the modern Muslim world. As he rightly observes, “the historiography of nineteenth century Islamic thought, as well of the late Ottoman society, is too often organized around the notion of encounter with Europe” (71). Rather, Stolz provides an alternative and insightful narrative of what I prefer to call a ‘hybrid’ culture, in which both traditional and modern scientific knowledge existed in complex ways, and even shaped each other’s multiple roles in a society where they flourished. Given the fact that the literature in Islamic astronomy studies has heavily focused on the pre-Copernican period, it is important that Stolz looks at its trajectory in the nineteenth and early twentieth century. This is one of Stolz’s main historiographical contributions to the field. I particularly find it significant that by proposing a content-based analysis, in addition to context-based one, of both scholarly and modern astronomical texts – Khudari’s and Lalande’s texts in this case – his work diverges from a number of studies on the same subject that categorize such texts as completely different from one another without closely investigating their linkages. Stolz, however, informs his reader of the pervasive character of modern astronomical knowledge in transforming the traditional perspectives as a result of various actors, including the state and the modern and traditionally educated scholars. In conclusion, Stolz’s The Lighthouse and the Observatory is a highly recommended study for those interested in science and its transforming effects in the modern Muslim world. With its insightful ideas regarding the checkered history of the relationship between the ’old‘ and ’new,’ it would not be an exaggaration to say that the book paves the way for new studies in the same direction. Al-Akfānī,Kitāb Irshād al-Qāṣid ilá asná al-maqāṣid fīanwāʾal-ʿulūm, edited by ʿAbd al-Munʿim MuḥammadʿUmar (Cairo: Dār al-fikr al-ʿarabī, 1990), 202-9; Tāshkubrizāda, Miftāḥ al-saʿāda wa-miṣbāḥ al-siyāda fīmawḍūʿāt al-ʿulūm, vol. 1 (Beyrut: Dār al-Kutub al-ʿIlmiyya, 1985), 357-58. For instance, Robert Morrison points out that in his Tanqīḥal-ashkāk, an Ottoman scholar called Qunāwī (fl. ca. 1850) deals with new astronomical phenomena including Uranus, Neptune, and the moons of Jupiter. Robert Morrison, “The Reception of Early-Modern Astronomy by Ottoman Religious Scholars,” Archivum Ottomanicum21 (2003): 187-195. A number of studies unfolding Ibn Shāṭir’s contributions in the history of astronomy has emerged for a few decades. For a short summary of Ibn al-Shāṭir’s scholarship, see David A. King, “Ibn al‐Shāṭir: ʿAlāʾal‐Dīn ʿAlīibn Ibrāhīm,” The Biographical Encyclopedia of Astronomers, Thomas Hockey et al. (eds.) (Springer Reference. New York: Springer, 2007), 569-70.